Sydney cafe hostage-taker Man Haron Monis was not on Australia’s terror watch list. Australia’s PM Tony Abbott said the government would examine why Man Haron Monis had been on bail. The prime minister paid tribute to the two hostages who died in Monday’s siege, describing them as “good people”. The two hostages and Man Haron Monis died as police commandos stormed the cafe in Martin Place early on Tuesday morning, ending the 16-hour siege. An investigation has been launched into the police operation. 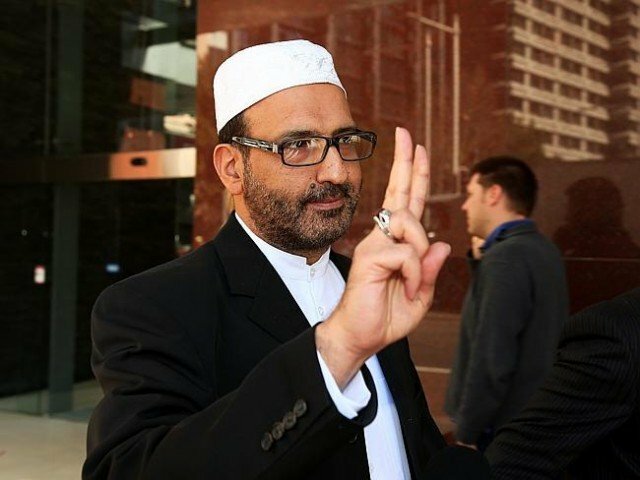 Police are also investigating the motives of Man Haron Monis – an Iranian refugee who was a known extremist and faced multiple criminal charges – and how he got a gun. At a press conference, PM Tony Abbott said: “How can someone who has had such a long and chequered history not be on the appropriate watch lists and how can someone like that be entirely at large in the community. However, Tony Abbott added that it was “possible” that the siege would have taken place even if Man Haron Monis had been on a watch list. “The level of control that would be necessary to prevent people from going about their daily life would be very, very high indeed,” he said. The victims have been named as cafe manager Tori Johnson, 34 and Sydney lawyer Katrina Dawson, 38. Tony Abbott described the victims as “decent, good people” who were “caught up in the sick fantasy of a deeply disturbed individual”. In Martin Place, people have been arriving to sign condolence books and leave flowers in their memory. Central Sydney was put in lockdown on Monday morning as the gunman entered the Lindt Chocolat Cafe and seized 17 hostages. Five hostages managed to sprint to safety on Monday afternoon. Several more escaped in the early hours of Tuesday, as commandos stormed the cafe. At a press conference on Tuesday, NSW Police Deputy Commissioner Catherine Burn would not say whether Man Haron Monis shot the two hostages himself. Nor would she confirm media reports that cafe manager Tori Johnson was shot when he grappled with Man Haron Monis. But she said that “every single one of those hostages acted courageously”. Asked if police stormed the cafe because of something they saw or heard from within the cafe, Commissioner Catherine Burn would say only that “shots were heard and an emergency action plan was activated”. She said it was “extremely important that I do not say a great deal about the events of the past 24 hours” while the investigation is under way. The investigation – standard practice when police are involved in a fatal incident – is being led by New South Wales Homicide Squad detectives on behalf of the state’s coroner, and could take weeks or months. A policeman who was hit in the face by shotgun pellets during the raid has since been discharged from hospital. Three others who suffered gunshot wounds are in a stable condition, NSW Police said in a statement. Two of the hostages who were pregnant were uninjured but taken to hospital for “health and welfare purposes”, NSW police said. An exclusion zone remains in place for several blocks around the crime scene, along with some road closures. Police have promised more police on the streets over the holiday period. During the siege Man Haron Monis apparently forced hostages to hold up a flag showing the Islamic creed in the cafe window. A church service was held at St Mary Cathedral, near the Lindt Cafe, on December 16 to mourn the victims.